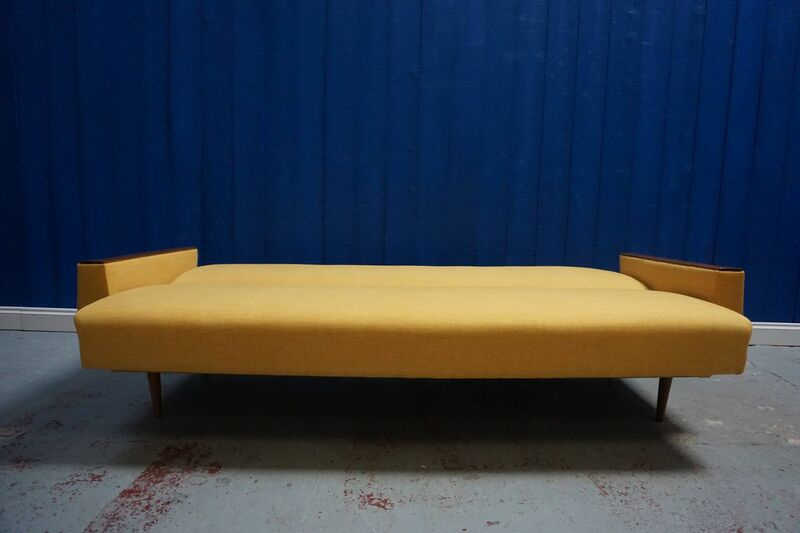 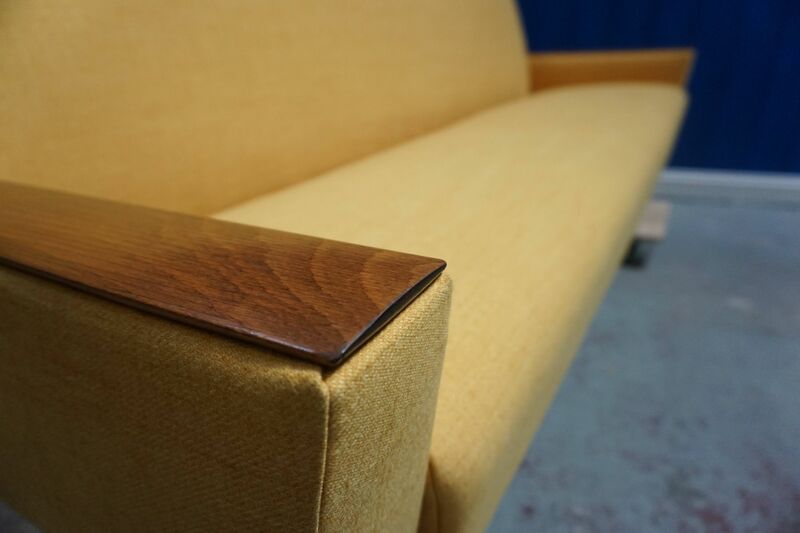 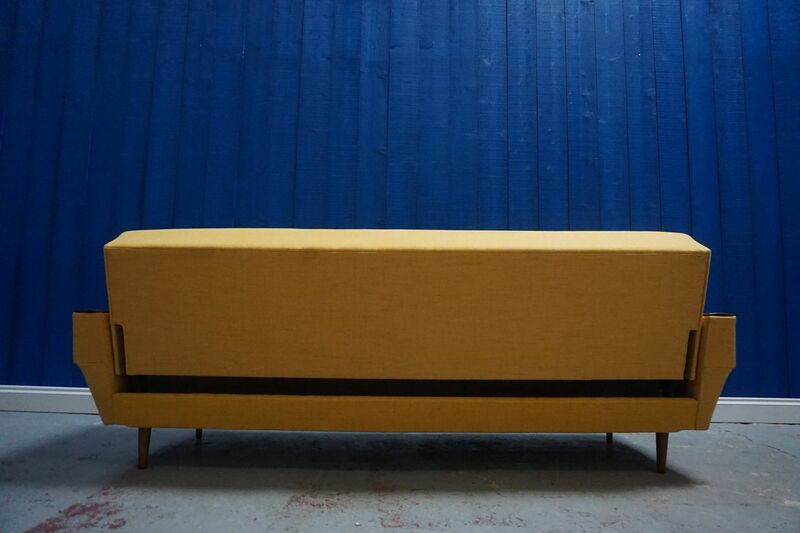 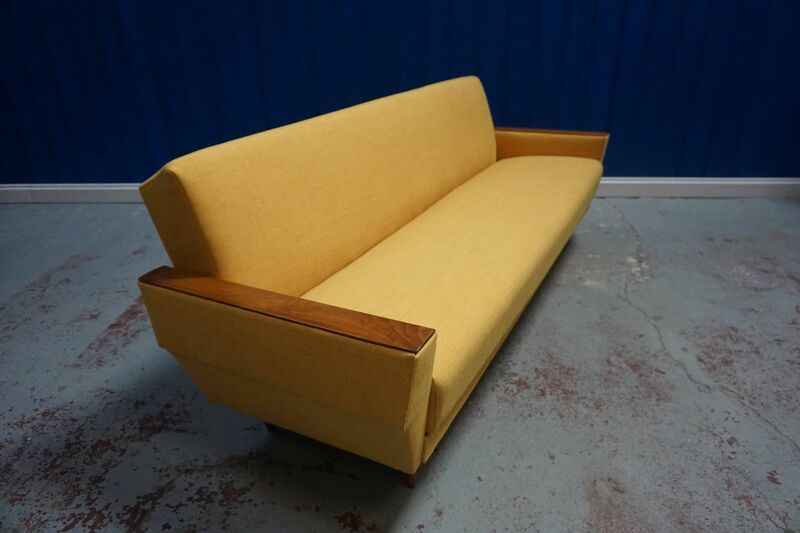 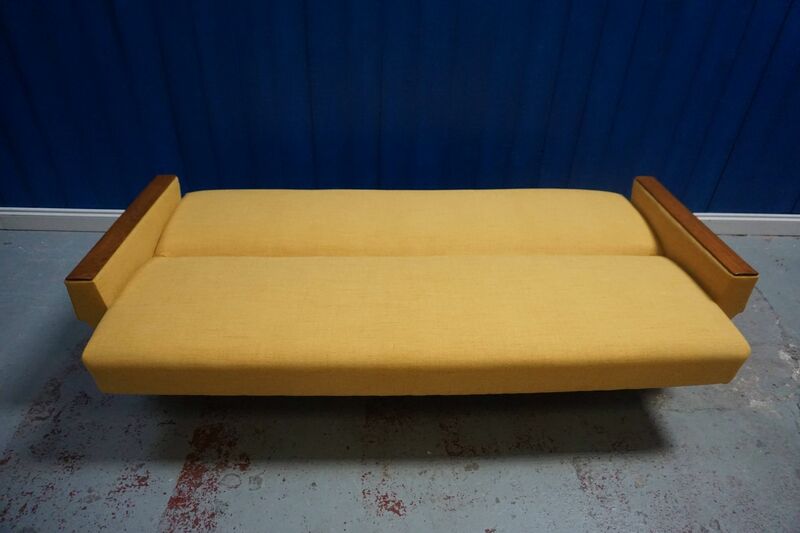 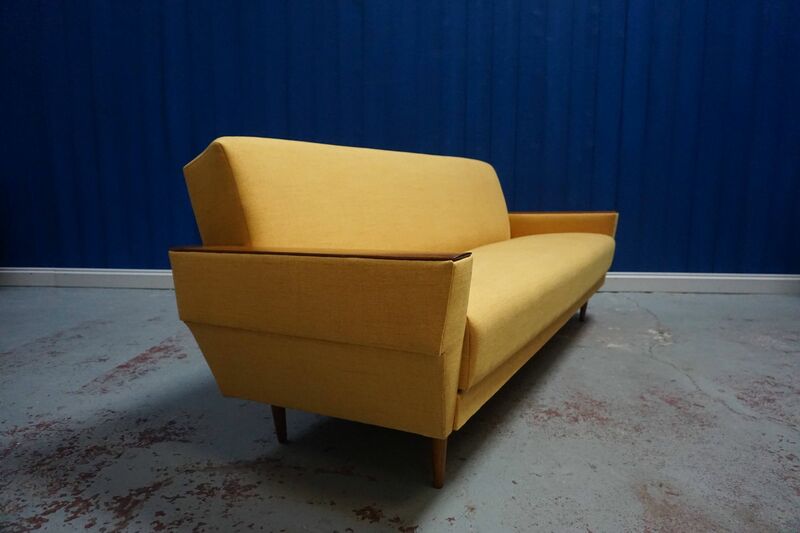 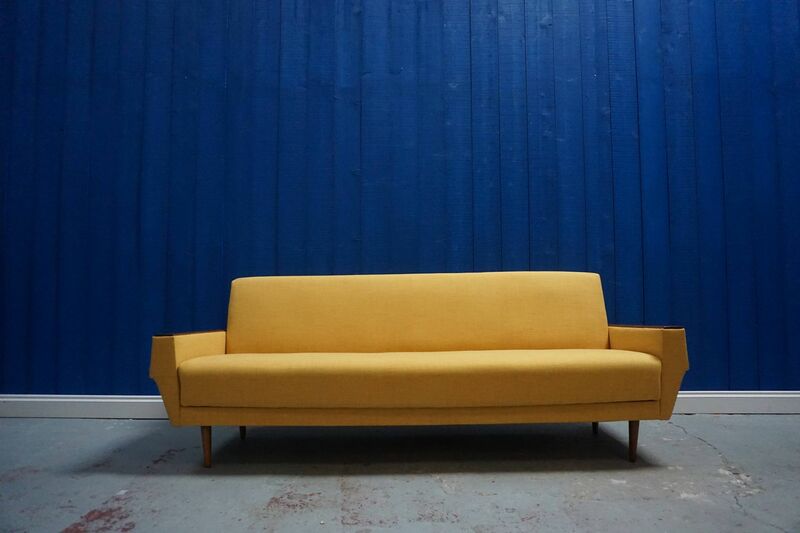 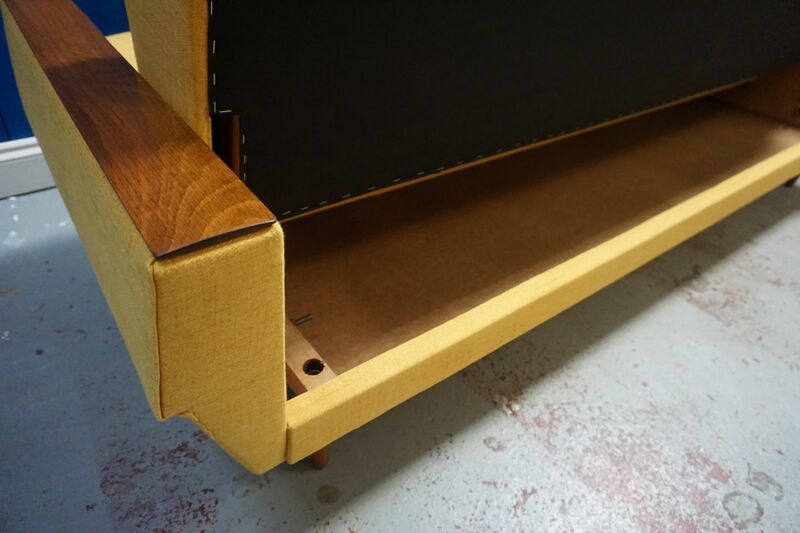 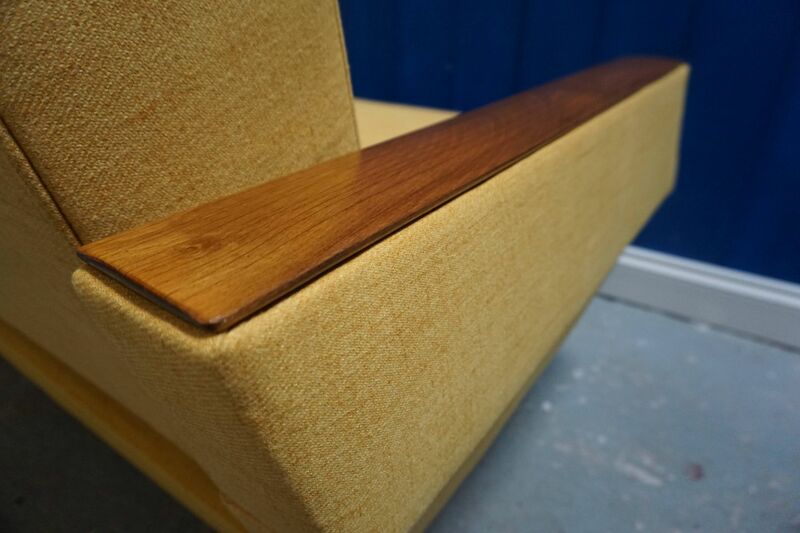 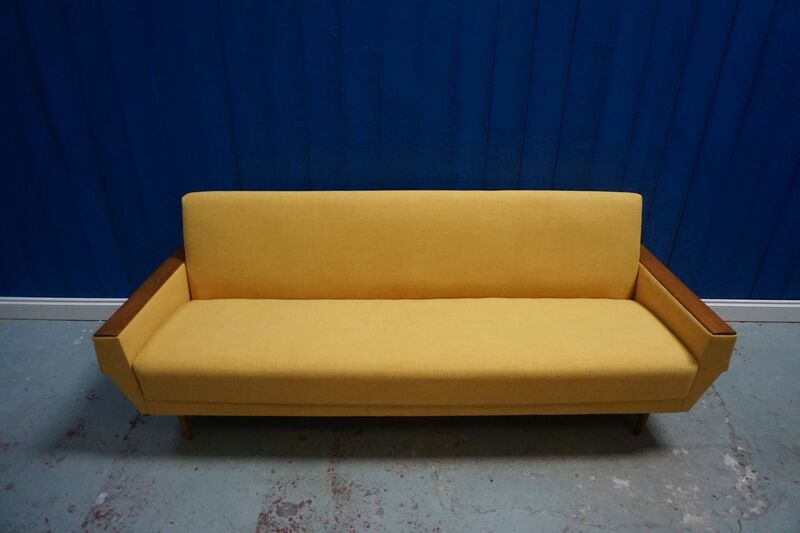 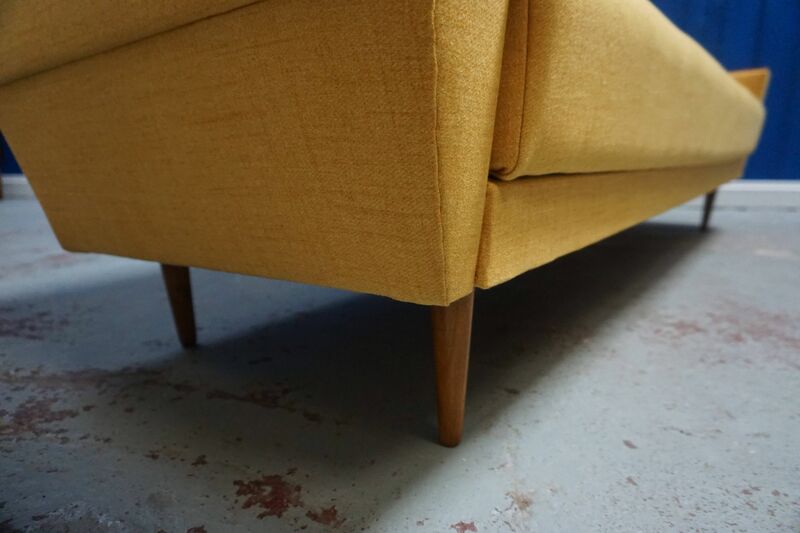 This Danish sofa dates from the 60s and has been reupholstered with yellow upholstery fabric. 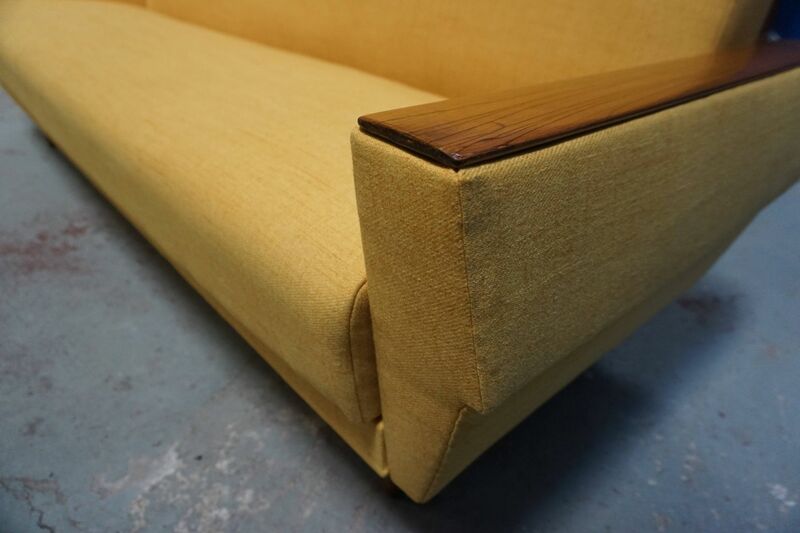 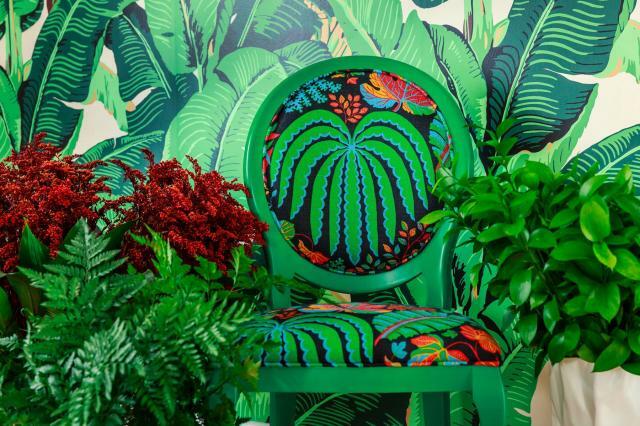 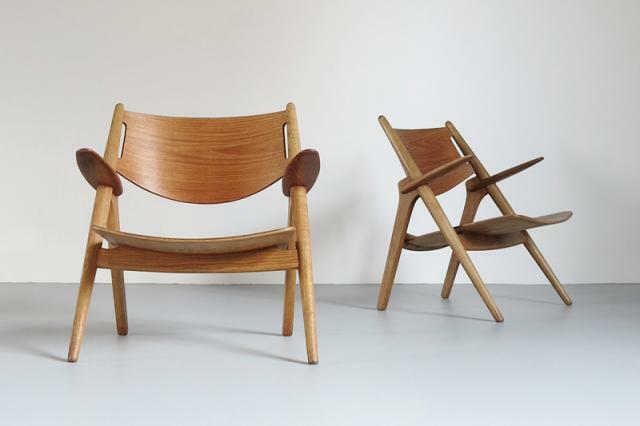 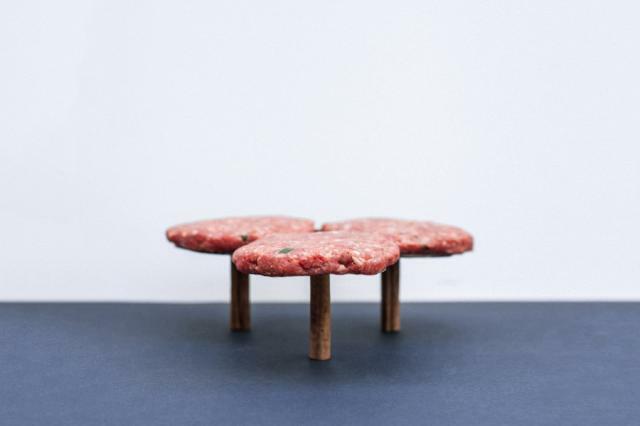 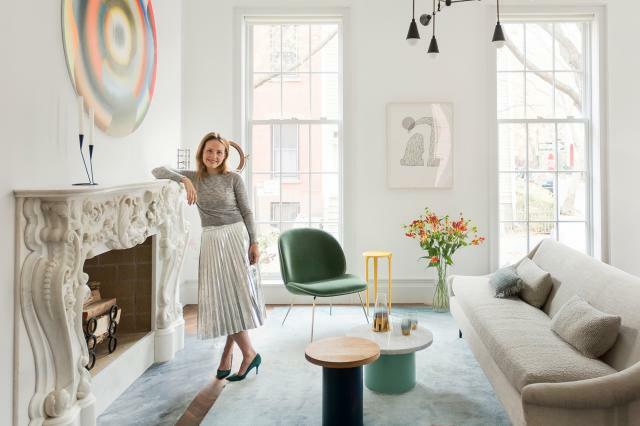 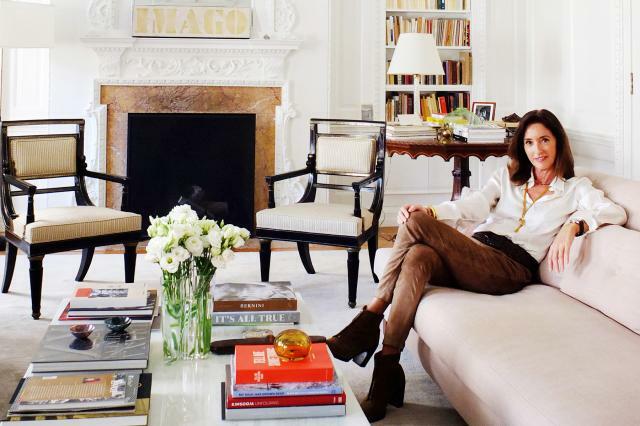 The seats are spring-based for extra comfort. 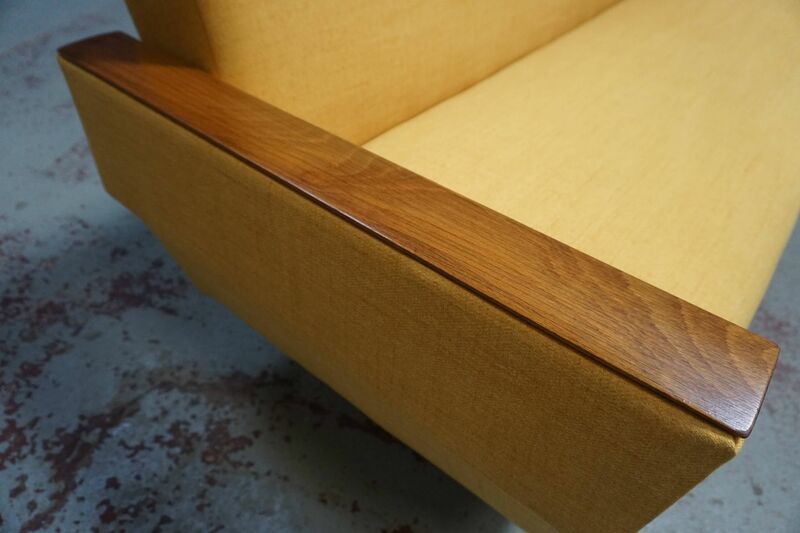 The sofa comes with an extra storage compartment under the bed.